Shimmering Vintage Pink. Part of The Bridal Collection - Soft & Romantic Shades Formulated for your Big Day. 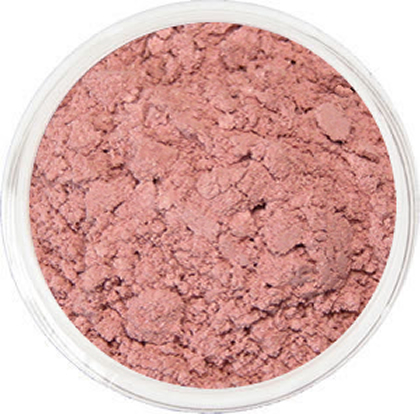 A concentrated formula of all natural minerals and pigments, a small amount of our blush is enough to flush your cheeks with plenty of color. The Kabuki, Jumbo Buffer, Jumbo Flat Top, Large Pointed Face and Small Pointed Face brushes are perfect for applying these loose-mineral powders.